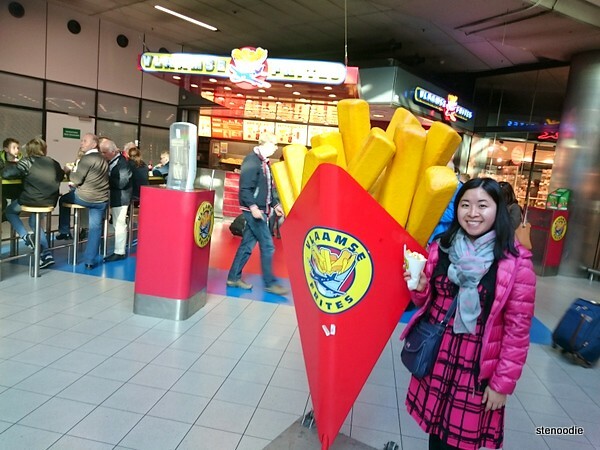 When we had stopped for about 30 minutes inside the Amsterdam Airport to grab some food or groceries, I spotted Vlaamse Frites and instantly recognized it as a well-known franchise for Dutch Fries. 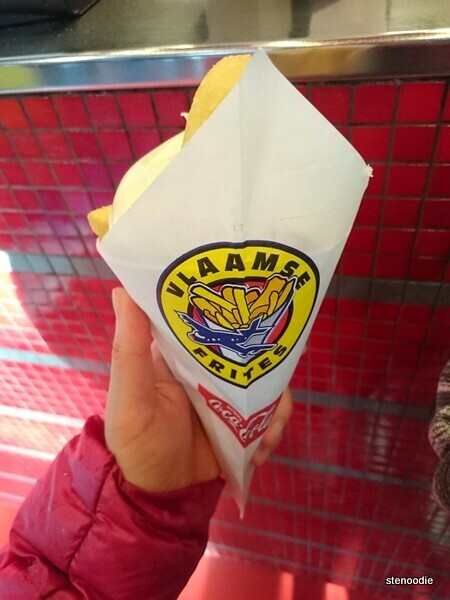 Even though I had never had fries from Vlaamse Frites before, something about it screamed must-try and authentic. 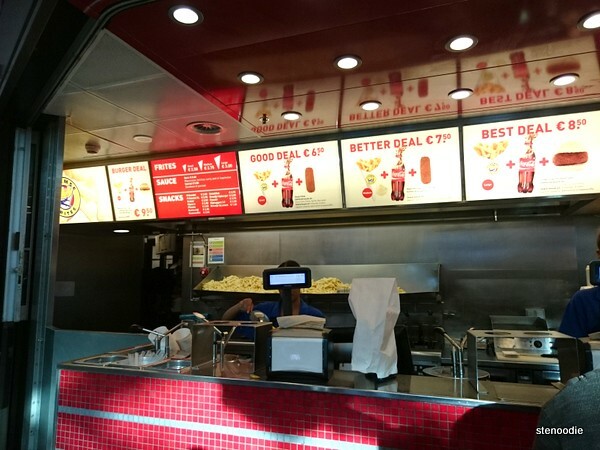 Thus, in the last five minutes before we were to board the bus to go to our hotel, I lined up to get a small size of Dutch Fries. 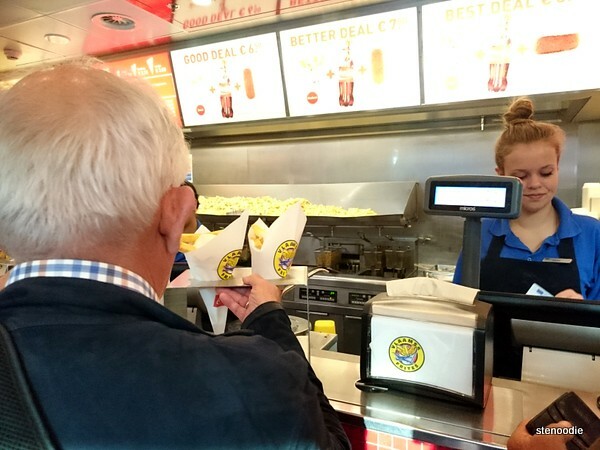 ‘Eat as the locals do wherever you go during your travels’ so once I saw the man in front of me order the fries in a cone with mayonnaise as the topping, that’s what I got too. 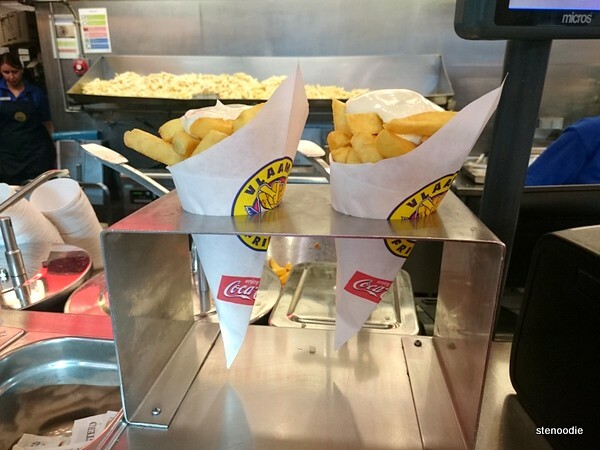 Seeing this huge plastic stand for Vlaamse Frites got me so excited! Eat as the locals eat! The small size cost 2.50€ and .60€ for a choice of sauce (mayonnaise, ketchup, curry) and I immediately snapped some pictures before I tried the fries with a huge dollop of mayonnaise. 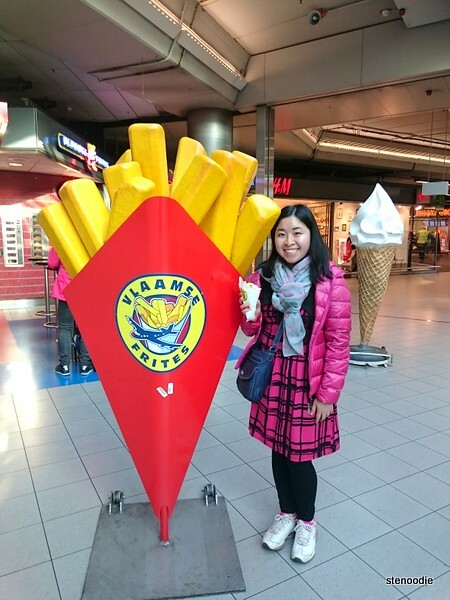 Couldn’t resist taking a photo with the big one with the actual Dutch fries in my hand! Mmmmm it was delicious! 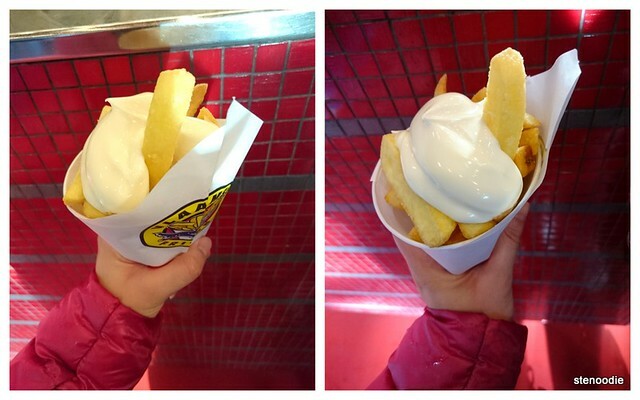 The concept was so simple; just French fries drenched in mayonnaise, but the fries were freshly fried and the mayonnaise was thick and creamy. 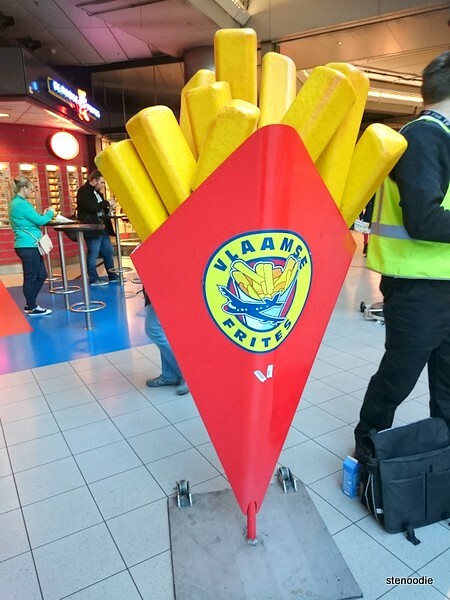 This entry was posted in Food, Travel and tagged Amsterdam Airport Schiphol, Dutch fries, Evert van de Beekstraat 202 1118 Schiphol, fast food, fries with mayonnaise, must try in Amsterdam, Netherlands, Vlaamse Frites, Vlaamse Frites at the Amsterdam airport, where to eat Vlaamse Frites in Amsterdam. Bookmark the permalink.